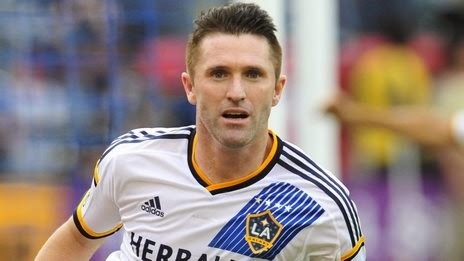 Robbie Keane's extra-time goal gave Los Angeles Galaxy a record fifth MLS Cup win with victory over New England Revolution. The 34-year-old ran clear and calmly slotted in with nine minutes to go to settle the encounter. Extra time was needed after Chris Tierney's late leveller for New England had cancelled out Gyasi Zardes's goal. The win ensured that all-time leading MLS scorer Landon Donovan ended his career with six championship titles. The 32-year-old did not get a goal that would have added to his record total of 144 in the MLS, but the victory was an apt way to cap his impressive career, which has seen him play in three World Cups and score a national best 57 international goals in 157 games. Keane has proven himself an equally valuable asset at the StubHub Center in recent seasons. The Republic of Ireland forward, who scored 20 goals in 33 games as LA Galaxy claimed the Western Conference title to reach Sunday's final, was a typically lively presence, twice forcing good saves from New England keeper Bobby Shuttleworth in normal time. When his big chance came in extra time he did not spurn it as he showed alertness to latch on to a chipped ball forward and coolness to slot his shot past Shuttleworth and into the corner of the net. It was a goal that earned the former Tottenham striker his third MLS title in four seasons. For New England Revolution it was another cruel MLS Final defeat at the hands of the Galaxy, who beat them courtesy of extra-time goals in both 2002 and 2005. This is the fifth time they have finished as runners-up, and they will reflect on how it could have been very different. After Tierney had nipped in to slot in a late leveller and cancel out Zardes' close-range finish earlier in the second half, they came within inches of what surely would have been a winner. Teal Bunbury's speculative shot from the right side of the box floated over Galaxy keeper Jaime Penedo but came back off the crossbar. The full-time whistle gave LA the chance to rally and ultimately provided the platform for Keane's winner.